This super easy and colorful salad is delicious. I love the mix of the butter beans, the freshness of tomatoes and spicy kick of the arugula, the flavors combine perfectly well. Toss the shrimp with some olive oil, salt and pepper and put in the oven at 350F for 6-8 minutes. Meanwhile prepare the dressing by whisking the mustard and vinegar together and slowly adding the olive oil. When all mixed, add the shallot, salt and pepper. 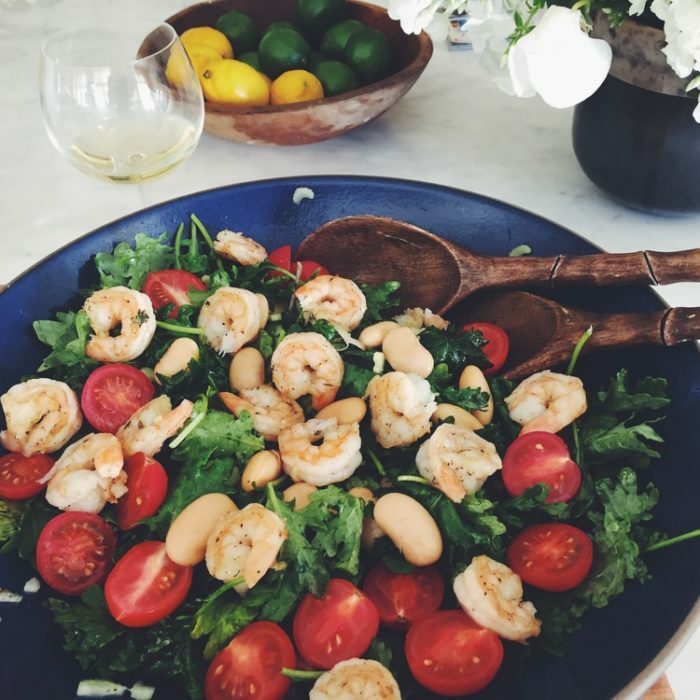 Put the arugula in a salad bowl, add tomatoes and shrimp and toss with the dressing.